Maternity Leave For Non-Mothers – In most workplaces, there are accommodations made for women who are pregnant and about to embark upon the task of motherhood. That’s beautiful, for the women who get thae opportunity. But what about the rest of us? What about those of us, the single, unmarried women who are not dating, who are childless, who may never have children, and who don’t plan to do so without the assistance of a husband? What about us? I understand why women need this time off from work to bond with their newborn, however, at some point in our work lives, had anyone ever considered that some of us might need some “time-off” too? Can we get a “Single-Just Want To Take A Break” Leave? Can we get a “Find Myself” Sabbatical? Perhaps some of us want to take time off to start a business, write a book, or spend time with the family we do have (because since we don’t have kids, guess what, we still have friends and family to “bond” with). Now, I don’t want all of the mothers to beat me up, however, in some cases, some fathers even get this leave from work (and we know they didn’t do the work to have the baby), and yet, the rest of us are left to stay at work, perhaps pick up the slack on the workload of the “mother or father-to-be” and then everything is expected to return back to normal, and the non-mothers, have been ignored in the process. All I’m saying is that with the direction in which our society is moving in, as it relates to relationships, online dating, etc., not alot of men are knocking down the door to get married and then knock us up so that we are able to “take time off” to spend time with the baby. My goal here is to start a discussion around who gets to take advantage of this type of work leave and ask the question, does maternity leave have to be the only opportunity for this? Will us non-mothers ever be able to take advantage of it? What Are The Odds? 17 to 3 – The number of women in my immediate social group who are NOT-married (17 of us) vs. those who are married (3). This was just a random thought in my head that triggered me to actually count up the number of women I know, talk to, and hang around regularly, who are married and right now, unfortunately that number only comes to 3. And these 3 women consist of 2 co-workers that I work closely with everyday, and one girlfriend from college who I talk to regularly. The remaining 17 of us (and by us I mean that I am included in that number), are all single, 6 of which are single by way of divorce and 11 of us by way of never having been married and are what I like to call “super duper single”. Are we happy and single? Yes, we all are, but that’s not the point. My point is, that as we approach yet another Mother’s Day, while I revel in being able to celebrate my own mothers, why is it that these many women who run in the same social circles, who are professional, educated, and beautiful, are still so very single; some of which are motherless and may never have children. I, for one, don’t plan to have a child without a husband, nor do I plan to have a child past 40, which for me, is next year; but I’m not dissing the women choose to have children later in life, it’s just not a choice for me. So, where does that leave us? I’m not sure, but I’m guessing that those numbers will only increase unless men all of a sudden experience a marriage proposal spree and start buying up all of the engagement rings all over town. Somehow, I’m thinking that’s not likely to happen any time soon. Support for Gay Marriage should be a WAKE UP call for those of us who consider ourselves the “Heterosexual Elite” – Recently, we know that President Obama made a very strong statement concerning his support of Gay Marriage in America and for the right for everyone to eventually get married and experience the rights and privileges that heterosexual Americans have for years. I also got into an interesting Facebook discussion that sparked me to encourage all of us to, in the words of Spike lee, “Wake Up”. As a member of what I call, the “Heterosexual Elite”, having been fed this fairytale image of what The American Dream was supposed to be and having witnessed my parents in a marriage that has spanned five decades, I just knew that I would have been married with kids well before I reached my late thirties. However, that dream has become somewhat of a fantasy the for some, might not ever come true. In fact, this “privilege” has become more of a curse in the last few years for many women, particularly Black women, with dreams of marrying that “tall, dark, and handsome” brother who is a husband and not a “baby daddy”. The reality is that the dream may come true for some of our homosexual counterparts before it does for many of us who have been waiting for a serious dating relationship and a marriage proposal for far too long. And there are issues that many of the “Heterosexual Elite” have never stopped to consider. Another reason it’s huge that President Obama has endorsed Gay Marriage is that gay couples are an economic powerhouse, especially those that are successful; and if two highly successful gay white men get married who both say, make six figures, guess how much is coming into their households? And if gay couples get married in the droves that can be expected in the next few years, as more states sign gay marriage into law, do you know how much money they will pour into communities? Yes, it is a political move, as some people keep saying, as if they are making a point that somehow denies President Obama’s sincerity on the subject. The bottom line is that I’m a straight Black woman who’s state of single-dom is getting old very fast, and no one is stepping to me and the other many millions of women like me, asking us to get married. So not only do Black women now have White women and rate at which they out marry us to contend with, now Gay couples (lesbian women) will be outnumbering us in getting married as well. My point here is, even if you look at marriage in America from an economic point of view, the benefits of a two-couple household, far outweigh the benefits of a single person household in more ways than we can imagine. All of these random strands of thought, I hope, will give us all something to think about as we move into a new election and hopefully into a new day of examining relationships, motherhood, and economics. 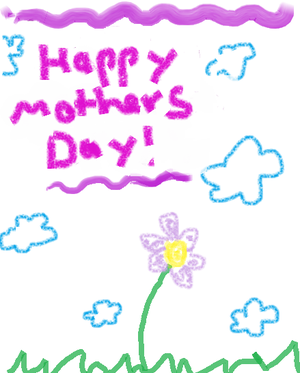 Happy Mother’s Day to all of you who are blessed to be mothers and I wish you well! Thank you for reading and supporting “the 30 & Over project” series. Please share with others.